Look around your home. Look at what you’re wearing. Most of your daily necessities -- like furniture, home decor, your backpack -- can likely be made by someone by an artist or craftsmen. 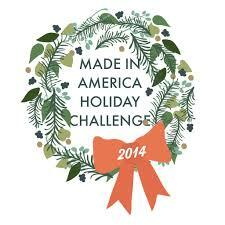 As you start your holiday shopping, consider gifting products made in the USA. For many craftspeople, it’s about creating high-quality and sustainable products, and pouring their passion into every single good. Tom says he can fully stand behind each piece of furniture he has made, as he, like so many craftspeople, sees his product through from start to finish. He does not get a part from China, have it assembled in another state, and then stamp his name on it. He purchases the lumber from local lumber dealer and they can tell him exactly where the tree came from. Understated detail and clean, traditional with a modern flare design are signature to Tom’s furniture. Because every piece is handmade, no two designs will be like. 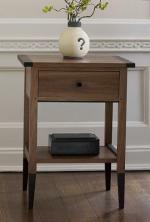 Tom’s most popular product is the Foyer Sideboard. View 2014 Collection by clicking here. Here are just a few other artist or craftsmen you can purchase from. . . . .